Facebook is the largest social network in the world, then why not to get some percentage of traffic from Facebook to your blog, then this is the best way to do it, by creating a Facebook Page, although you can also create a Group of Facebook for your blog, but I think Facebook Page is the good one for blog. 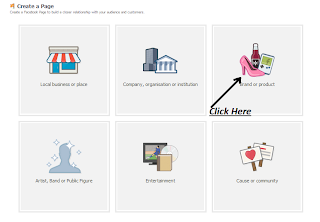 I know you are looking for guide, to create a Facebook page for your blog, don't worry I am going to share with you step by step methods to create a Facebook page for your blog. Now, first option is choosing a category, here is the step to follow, just click there and then scroll down to below, you will see website, just click there, that's it for this option. 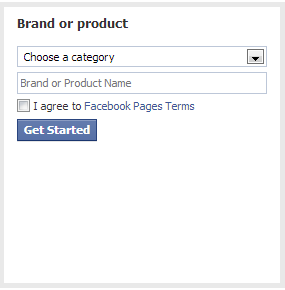 Now Give Your Page Name, now click on the box before "I agree". Then click on Get started! Now, first add a description of your blog, I mean what your blog is about. I am creating Facebook page for demo. Now write your blog name with proper URL like "http://www.yourblog.com"
Now click on Yes, then click, you will see another option, then even click on Yes, if you are owner of the blog. Then click on "Save Info". 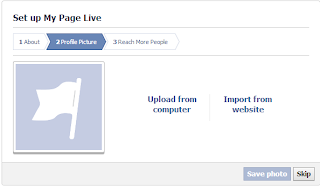 Now click on "Upload From Computer", then choose a file or photo you want to add to your Facebook page. 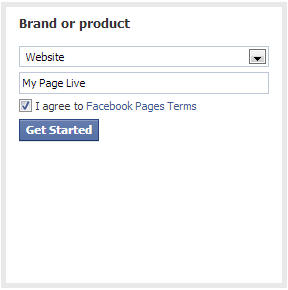 You have done, but if you want to promote your Page then you can go for Facebook Ads. 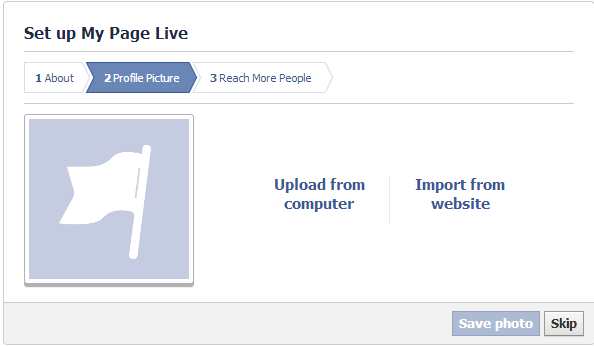 Other wise click on "Skip", finally you will see your Facebook page. 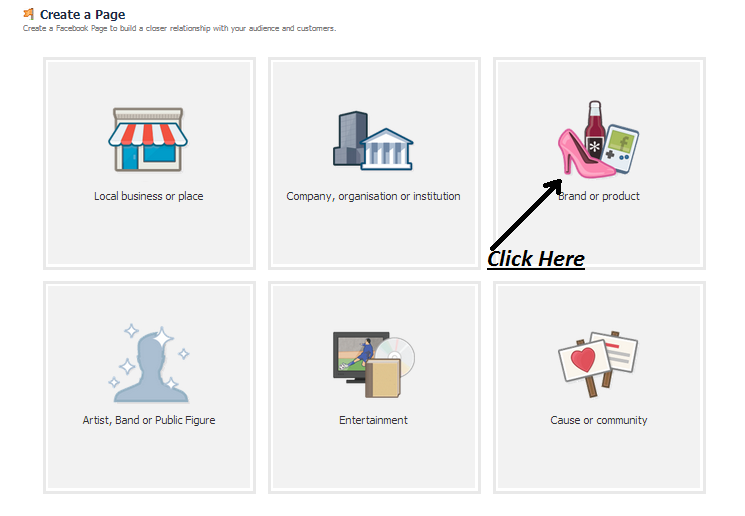 I want to give you one more tip regarding getting Facebook fans! See, this is my personal experience, it is really hard to get first 100 fans for your Facebook page and it is quiet easy to get more Fans after your Facebook page has more than 1000 fans. So, the question is that how would you get more fans to your Facebook page, first tip is invite your all friends, I know almost every Facebook users have average 100 friends, if you will invite your 100 friends then I am sure at least 30 likes you will get for your Facebook page. But don't invite your 100 friends to like your Facebook page in day, rather invite 10 friends each day, which is a good strategy to grow your blog traffic. One another tip, tell your good friends to invite their friends! In this way your Facebook page will grow for free! 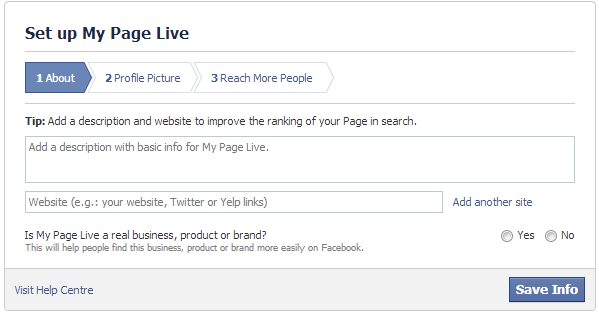 If you are getting any problem to create your Facebook page then just ask me by commenting below.